Danielle is a film editor at Uppercut, a bicoastal creative studio elevating post production across NYC, LA and Boston. From a very young age, Danielle knew she was meant for storytelling. She’s constantly pushing herself to capture the truest human emotion in her work, understanding that the most crucial part of a story is how it makes us feel. Danielle’s personal passions for and intentionality with her work — and commitment to create it through an empathetic lens — sets her apart with work that truly captivates and challenges her audience. Very first job: Sales at GAP. I don’t think I ever perfected the folding. Reese Witherspoon. I’m really inspired by the work she’s doing with her company, Hello Sunshine, to create content that celebrates women and helps put them behind the camera. I’m really looking forward to seeing her in season two of Big Little Lies, which was directed by another talented powerhouse, Andrea Arnold (of “American Honey” notoriety). Exercise is essential, since I sit all day at work. Otherwise, I try to travel as much as possible and absorb lots of film, art, music and podcasts. I really like Issa Dee on “Insecure.” I appreciate her realness. She’s just trying to figure her life out like the rest of us. “Grown Woman,” by Beyonce. I work with one creative team who likes to throw it on and do a quick dance session when we’re losing steam. Probably all the carbs. Some woodfire pizza from Italy and something decadent and chocolatey for dessert. I’d like to master speaking Italian and learn how to surf. I find the ocean to be deeply healing and meditative. Oprah. There’s just no end to all the things we could discuss. Although, I’d likely spend the first 10 minutes trying not to accidentally spill my coffee on her cream cashmere sweater. As an editor, my hustle includes collaborating with directors and creatives to make a variety of work, from short films and branded content to commercials. What does your typical workday look like? Which various ‘hats’ do you wear throughout the day? The exciting part of my job is that no two days look exactly alike. Some days I’m working on my edits alone, while on others I’m presenting to a full room of clients. When I have clients here, I’m wearing a few extra hats because I’ll present my work, discuss any feedback and then quickly turn around any edit changes while simultaneously making sure everyone is happy and comfortable. I really enjoy the collaborative nature of my work and love when clients feel at home in my office. Have you always had a passion for storytelling? Absolutely. I think it started when I was really young and stems from a very soulful place. Once I was in the film program at Notre Dame, my film partner and I entered a commercial contest for NBC where we concepted, shot and edited a Notre Dame football commercial. During that project and a few others over the course of the year, I found the editing process to be the most rewarding. I loved that I could shape the film to be precisely what I had in my mind’s eye, and found that I lost all sense of time while doing so. I felt confident that if I was willing to skip parties to edit, it might be something worth pursuing professionally. Oh, and we won the contest and our commercial aired on NBC during the game—so that was an added bonus! What draws you to the video production side of storytelling? I’ve always been highly visual and a keen observer of people. I love that film is so visceral, and that I can work and rework an edit to make the viewer feel something unique. My editing style is fairly versatile, but I always try to capture the most true human emotion in my work. Over time, I’ve pushed my craft to be less commercial and more cinematic, which is a reflection of the films that inspire me and my own life experience. What aspects of Uppercut’s company culture do you value most? I value the support I get from my team, which allows me to focus on what I do best. The team as whole is highly collaborative and aims to yield the best creative work possible. What kind of questions do you ask before beginning a new project? When I’m first briefed on a project, it’s most important that I get a sense for what the objective is and how I want someone to feel. If you tell me how you want to feel, I know exactly how to make that happen. How have your professional and academic experiences/lessons prepared you for the work you do today? In a sense, each project prepares you for the next and your edits are a reflection of your life experience. There’s a lot of nuances that go into pulling off a project seamlessly, all of which you learn on the job. Editorially, I make it a point draw from my past lessons and then push my craft with each edit. How do you continue your industry education and stay on top of evolving trends within your role? My industry is constantly evolving based on how people pay attention. Formats are getting shorter, budgets smaller and turnarounds faster. I make it a point to be nimble as an editor and know how to do everything myself. I make sure I’m familiar with the best in the industry and the most cutting-edge work, so I stay on top of my craft. Earlier this year, YouTube tasked a number of top ad agencies with retelling a classic fairytale in six seconds. I worked with an all-female creative team from Grey Advertising NYC, who chose to flip the traditional narrative of Little Red Riding Hood, to make her the empowered heroine. After premiering at Sundance, YouTube made our story into an installation at SXSW and Cannes. It was a really unique opportunity to team up with other women who had overcome societal and professional adversity, to make a statement we could be proud of. Throughout my career, I’ve worked really hard to be taken seriously as an artist and a businesswoman. Every project has been a new opportunity to prove myself to a room populated mostly by men. But slowly, I’m seeing more female creative teams and more female directors have a seat at the table. I think we need to continue to support women by giving them equal opportunities, so their work can speak for itself. When I first started in this industry over a decade ago, there were very few women editors in advertising. Now I’m happy to see one on almost every roster. I think initiatives like the 3 Percent Movement and Free the Bid are working to help diversify the talent that’s out there, and people are more willing to give women a chance. I see women on my couch more and more, which makes me both happy and excited for the future of storytelling. I think oftentimes people underestimate labor of love that goes into an edit. I’ll think and rethink edits down to the frame, and still go home and dream about them. Genuinely, I love what I do. What is one of the biggest obstacles you’ve faced in your work? As editors, we’re constantly being judged on our work. When I was a younger editor, I can remember a few times when I took criticism very personally and second-guessed my talent. But with time, my confidence as a storyteller clicked. Now, I see any criticism as an opportunity to push my work further and make it better. I’m a good listener and empathetic. When someone articulates what they’re feeling about an edit, I know exactly how to address their concerns. On the flip-side, I sometimes care about what people think too much and have a hard time telling them “no.” I’m learning to be honest about my boundaries and needs. To name a few: my former bosses, Sherri Margulies and Karen Kourtessis. They helped pave the way for women editors in my field and gave me some amazing opportunities as a young editor, for which I’ll always be grateful. My friend and creative partner, Bevan Mahaney. We’re always pushing one another to be better both in work and life. And, of course, I look to the greats like Kathryn Bigelow, Greta Gerwig and Margaret Sixel for filmcraft inspiration. Warby Parker is home to a trendy, socially-conscious eyeglass collection (with a kickass startup success story.) 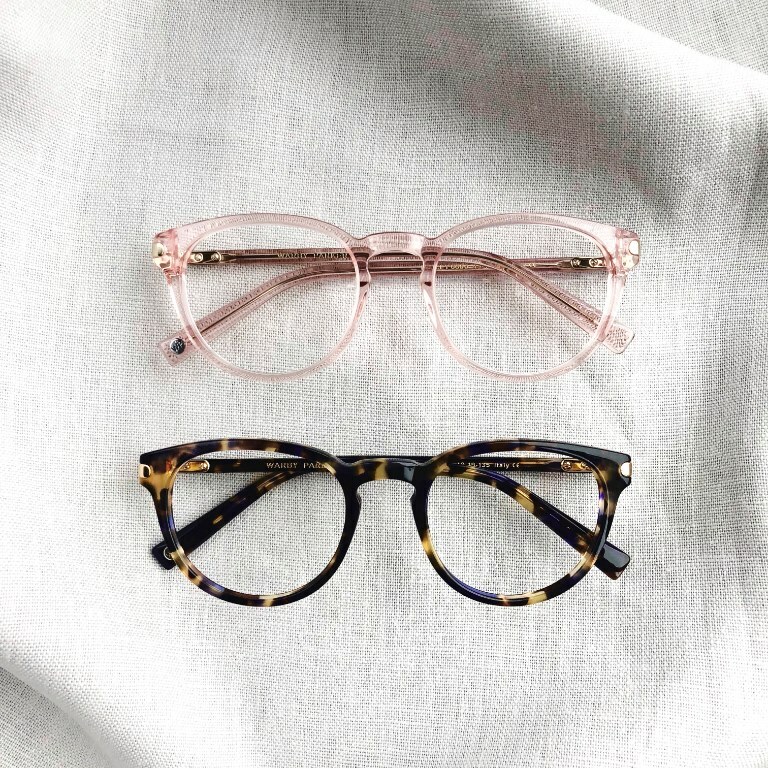 We're big fans of their Home Try-On Program, where you can select 5 different frames online, have them delivered to your door, take 'em for a spin, pick out your faves, then send them all back — all before spending a dime. Learn more about it here. *This is an affiliate partnership, meaning when you shop using the links we provide, a portion of your purchase comes right back to us, so we can continue creating content for you. Of course, we only promote brands and products we genuinely stand behind. Thank you so much for your support — it means everything to us! Sign up with your email address for exclusive access to babely news + updates!